Gluten-free bread and wraps have been traditional in many cultures since the beginning of civilization. Even though wheat and other gluten-containing grains have been around ever since humans started growing food, they weren’t always available, or they may have been too expensive. People needed their staple starches for energy, so they used what they had and kept themselves fed. With some delicious results. Some traditional gluten-free bread is completely flourless and grain free, such as cassava bread, potato bread, and chickpea bread. Other breads are made from meal ground from gluten free grains such as corn, rice, and teff. During lean times people who just had bread did better if they made high protein breads that were a combination of grains with things like chickpeas or dal, like the dosas of India. There are many styles of traditional gluten-free breads, some of which can be used as wraps : flatbreads, steamed breads, quick breads, pan fried breads, deep fried breads, spoon breads, and fermented breads. Fermented breads are the most similar to yeast breads in how they are prepared: the dough is allowed to sit for a while, sometimes a couple of days, and the gases given off by bacteria and natural yeast cause the bread to puff up a bit. But they are usually pretty flat. Without gluten to give structure, they can’t rise very much and keep the shape. The fermentation also results in a slightly sour taste, much like the sourdough breads of San Francisco fame. Quick breads are made with baking powder, or baking soda, and/or eggs. If you have a favorite quick bread containing wheat, it’s easy to convert it to a gluten-free bread. Since it has no yeast it doesn’t require gluten to give it structure. Quick breads look more like modern yeast breads in that they aren’t flat, but they tend to be more crumbly and don’t make the best sandwiches. 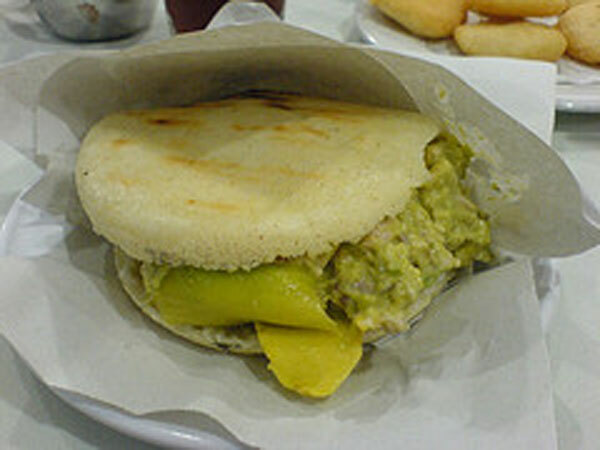 Unleavened gluten-free breads include flatbreads such as tortillas and arepas, as well as tamales and some dumplings. Ceremonial breads: Most traditional gluten free breads are used for everyday eating, but some are used for ceremonial purposes. Cassava bread is a staple in parts of the Caribbean, South America and Africa. By itself, cassava is not very nutritious, being low in protein and other nutrients. But as long as it is supplemented by protein dishes, especially fish or meat, cassava has been successfully used as part of a balanced diet. In Brazil there are a couple of popular gluten-free breads made from cassava: Pão de mandioca, which has cheese in it, and Biju, a crisp flat bread. But the most ubiquitous traditional source of starch for Brazilians is farinha de mandioca, which is manioc (cassava) meal, often toasted and/or seasoned. Even today you will find some variation of farinha on many Brazilian tables. It is sprinkled liberally on any dish with any moisture in it, like stews. Gluten-free bread made from beans or pulses (peas, lentils, etc.) is very satisfying due to the high proportion of protein. In southern France and northern Italy, along the Côte d'Azur, you’re likely to see street venders selling the crisp flatbread called socca which is made from chickpea flour. In India you will find crisp lentil wafers called pappadums, that may be plain or spiced, baked or fried. Some are paper-thin, some are thicker. Another type of gluten-free bread is made from potatoes. Chapale Chileño is a Chilean bread made in the mountainous regions of southern Chile, where their way of life depends on potato cultivation. In addition to potatoes it contains corn, eggs, cheese, and chili powder. It may also contain chorizo, a spicy sausage. Some tamales, such as in Guatemala, are made from potatoes and may be eaten as a bread if left unstuffed. Corn is probably the most well-known grain made into gluten-free bread. Since it is native to the Americas, it is very common in all of North, Central and South America, and the Caribbean. And even though it came much later to Africa and other areas, it has become a staple in many of those places as well, even India. Corn is made into every type of bread imaginable: flatbreads, steamed breads, quick cornbreads, pan fried breads, deep fried breads, spoon breads, and fermented breads. It is even made into ceremonial breads, such as the paper-thin blue corn bread called piki bread of the American Hopi Indians. In Brazil, any bread made with corn is known as broa. Be careful, though. Modern corn breads often contain some wheat flour. 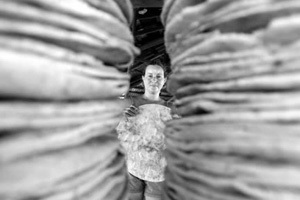 Corn flatbreads include tortillas (Mexico), arepas (Venezuela and Colombia), and papusas (El Salvador), thick handmade corn tortillas usually stuffed with cheese or a mixture of cheese and pork. Another type of gluten free tortillas, made from blue corn, are found in the Southwest US, where you will also find the blue corn, paper-thin, piki bread (Hopi Indians of the United States) mentioned above. There are also pan-fried cornbreads (pancakes) such as johnny cakes (United States), and the chapati-like Makkai ki Roti, made from corn and grated radish, that is popular with the Sikhs of Punjabi, India. Steamed corn breads include tamales of many kinds, from sweet to savory, and made from fresh corn or corn masa (corn prepared with lime). The tamales known as tamales blancos are unfilled tamales that are eaten as bread. Tamales rellenos are the stuffed version we usually think of when we think tamales. Dumplings are found in many cultures, such as the fresh corn humitas of Chile and Ecuador. 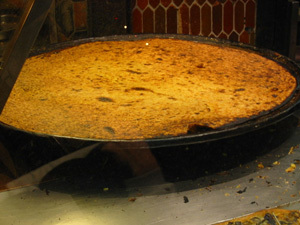 Aboloo is an African steamed fermented cornbread. 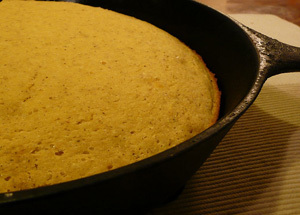 Quick cornbreads are great gluten-free breads to know about. There are many types, many of which are traditional in the United States and the Caribbean. This is a result of the fusion of American Indian with French and Spanish immigrant cuisines, and with the food preferences brought from Africa by the slaves. This is an example of Creole food. But it’s also a result of all immigrants, especially in the southern US, being influenced by the American Indians, for whom corn has been a staple for thousands of years. Here are some examples: Southern skillet cornbread, Creole pain de Maïs (maize), corn pone, corn dodgers, ash cake, fried corn cakes (gateaux de Maïs frits) , hoecake, johnny cakes (also spelled jonny cake), spoon bread, and cracklin’ bread. At Paraguayan weddings and homecomings they serve a spicy spoonbread with cheese and onions called pan paraguayana. Fried corn breads: Hushpuppies, small amounts of corn bread dough flavored with onions and deep fried, are a Southern favorite. Hopi Indian hushpuppies are different than others because they are made with blue cornmeal. I always wondered, or maybe I heard it somewhere, if hushpuppies originated from miscellaneous bits of fried corn bread dough that were fed to the dogs to keep them quiet... Have you heard this? Empanadillas de requesón of Latin America are basically a fried bread, like a thick corn tortilla stuffed with cheese, chiles, and herbs. Share your traditional gluten-free bread! Do you have a gluten-free bread recipe for something on this page? Or maybe something I missed? A story about a bread you discovered while traveling? A request? Rice based gluten free breads and wraps have been around in many cultures for centuries. Asian countries use rice paper wrappers to hold a variety of ingredients, and may be eaten fried or unfried, as in the case of Vietnamese spring rolls. (One of my favorites!) Fresh rice paper wrappers, called Bánh uot, are available in markets in Viet Nam, but in most places you’ll have to settle for dried (bánh tráng), unless you want to make your own. Some restaurants bring the fillings and the dried wrappers to the table, along with a bowl of water. You rotate the dried wrapper in the water until it becomes pliable, choose your fillings, and chow down! India has a variety of gluten-free breads including idli, which are steamed dumpling like breads often served on top of a dish of dal (Idli sambar). 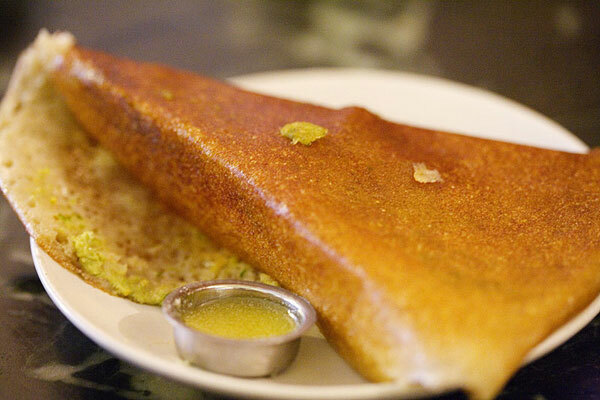 Dosas are a popular Indian rice bread served in coffee houses, usually made with rice and urad dal, and sometimes stuffed. Pathiri is a chapati style rice bread brushed with coconut milk, created by the Moslems who settled in Malabar India in the ninth century. Creole cooks use rice in quick breads, often combined with corn. Rice breads can also be found in South America and Africa. The Japanese don’t traditionally eat bread, but they make a rice cracker called Katamochi that is made from just rice flour and salt. And mochi, which is made of rice, sometimes has flavorings, and puffs up when baked. Injera is an Ethiopian flat bread made for the tiny grain named teff (also spelled tef), which is native to Ethiopia. Teff is high in protein and very nutritious and satisfying. At the table, Injera is torn off and used to pick up foods with the hands. It is both bread and utensil. It also serves as the platter: miscellaneous foods are scooped into piles in the center of the injera. The injera is torn off from around the outside and everything is eaten toward the middle. When the injera is gone, the meal is over. And not much cleanup is required! Sorghum is another grain used in making gluten-free bread. Many types of sorghum bread are traditional in Africa, as sorghum is one of the most important food grains there. Sorghum bread is also found in the middle east and other parts of Asia. The flavor of sorghum is highly prized in many cultures, where the lack of some sorghum flour added to breads results in a big disappointment. Even though the US is a major grower of sorghum, it is used mostly for animal feed. So sorghum flour may be hard to find, but you might find it in an Indian market, where it is called jawar. Buckwheat Crêpes are a pancake used to wrap a variety of foods, and are traditional in Brittany, France. Although many of us think of crêpes as a breakfast food, they are also used to wrap foods more suitable for other meals. The buckwheat grown in Brittany has a milder flavor than what is available in some places like the US, so often buckwheat dishes will have some wheat flour mixed in to lighten it up a bit. I like the strong flavor, and I also like the heartiness of buckwheat: it’s very high in protein and has a warming effect, so it’s best eaten on a cool day. Even though some types of wraps are included in the gluten-free bread sections above, I wanted to give you an easy way to keep track of them, because wraps are one of the easiest ways to make a quick meal or snack. Check out this list of gluten free wraps. It includes vegetable wraps too.